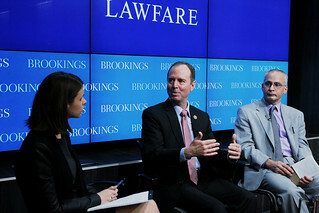 Rep. Schiff outlining Congressional measures that can be taken to protect liberal democracy. On March 21, 2017, Brookings Governance Studies and Lawfare hosted Representative Adam Schiff (D-Calif.), the ranking member of the House Permanent Select Committee on Intelligence, to provide his perspective on protecting liberal democracy in the U.S. and abroad. Following his remarks, Rep. Schiff discussed this landmark moment in U.S. history with Brookings experts and answered audience questions.